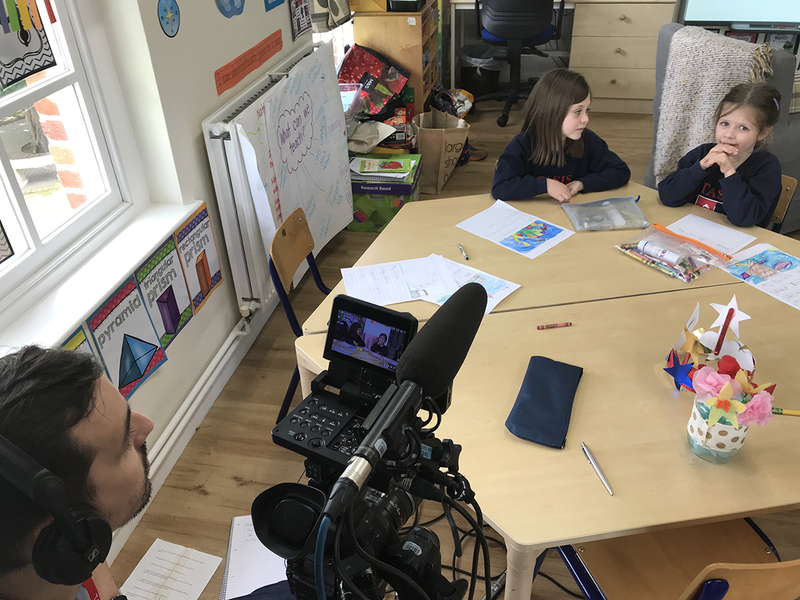 Recently, the BBC visited our campus to interview our Middle and Lower School students and get their advice for Meghan Markle on her new life. Meghan, an American citizen, is moving to the UK. Most of our students already have experienced this move, so they have many tips on how to adjust and enjoy British life. We turned the recording day into a big celebration, with a tea on the lawn with British and American snacks. The story is part of the special coverage of the Royal wedding, that will take place in Windsor on Saturday, May 21. According to the BBC producer who came to our campus, the story will air this coming Sunday, although it is subject to change, on the News Channel, Breakfast News, the One O’clock News, World News, and around the world via Reuters and CBS. Thank you to our Lower School students who prepared cards with recommendations for Prince Harry and created a flower bouquet for the future princess. To see pictures taken on the day of filming, click on the image below.